Acandí, December 18, 2013. Colombia will start 2014 with a new protected area declared by the System of National Natural Parks of Colombia. This sanctuary will be managed jointly with three community councils, guaranteeing the territorial arrangement and management for the conservation of two critically endangered species of sea turtles. WWF Colombia has supported the declaration process during almost 10 years. The Playon Playona Acandí Fauna and Flora Sanctuary becomes the 58th area within the System of National Natural Parks, filling some conservation gaps in marine and coastal ecosystems. With a total extension of 26,232 hectares, it is located in the Gulf of Darién on the Caribbean Coast, within the jurisdiction of the Municipality of Acandí, encompassing the beach and adjacent marine waters next to La Playona and some part of El Playón de Acandí. 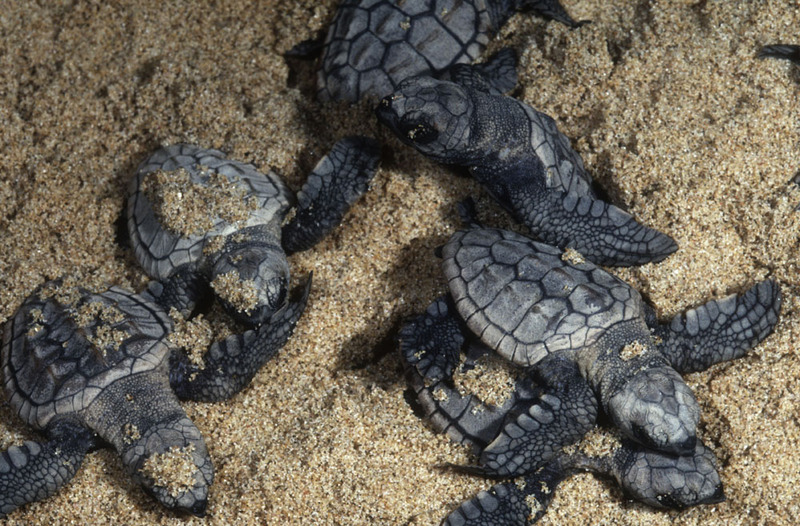 This zone is considered to be one of the main nesting sites of the leatherback sea turtle. Several authors and researchers belonging to the local Afro community (GILA group) state that each year over 200 turtles reach these beaches to lay their eggs. 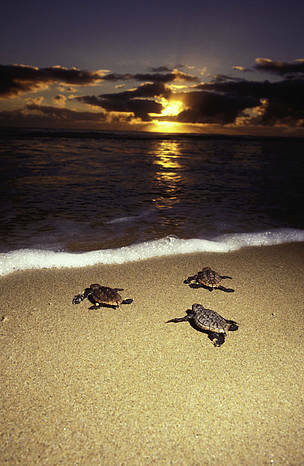 The Darién area and, particularly, the Acandí beaches, are equally important sites for the nesting of the hawksbill turtle in the Caribbean. The selection of the two beaches contributes directly to the protection of these two species which are critically endangered. Their migratory nature makes this area really important since all the local conservation efforts have a significant impact on the western Caribbean. Mark and recapture studies have shown that some of the females breeding in Colombia spend most of the year in Costa Rica and Mexico. In addition, this area contributes to the protection of other animals that are socially, economically and culturally important, including several shrimps and fish. 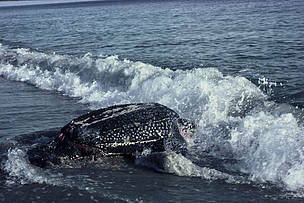 Local communities adjacent to La Playona and Playón de Acandí consider the leatherback turtle a symbol and part of the region's cultural, touristic and ecological heritage. For instance, on Easter 1993 the "Leatherback Turtle Festival" began as a strategy to create awareness of the importance of this species. The area also contributes to maintain marine biodiversity and the artisanal fisheries of Urabá and Darién. More than 80 species make up the fishing resources for the community of Acandí. Since the beginning, the declaration of this new protected area was sought by the Afro Communities Councils of the Tolo River Basin and the Southern Coastal Zone (Cocomasur); the Acandí Seco River Basin, El Cedro and El Juancho (Cocomaseco) and the Acandí River and the Northern Coastal Zone (Cocomanorte). It was also supported, through technical collaboration by WWF Colombia during almost 10 years. In order to properly manage the planning of the Sanctuary, a coordination mechanism will be established among the three community councils and National Parks to achieve the conservation goals. The National Natural Parks System expands its total area to 14,254,144.3 hectares of which 1,279,750.64 correspond to marine-coastal ecosystems (10 protected areas, corresponding to 1.4% of the country). With this declaration Colombia contributes to the commitments acquired within the framework of the Biodiversity Convention that seeks to protect at least 17% of the world´s terrestrial zones and continental waters and 12% of marine and coastal areas by 2020.